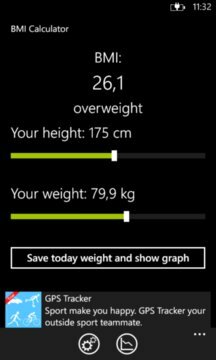 BMI calculator is application for easy to used calculating Body Mass Index - BMI. The BMI is used in a wide variety of contexts as a simple method to assess how much an individual's body weight departs from what is normal or desirable for a person of his or her height. BMI calculator show result index and lexical designation of result category. Application can work with metric and imperial units. 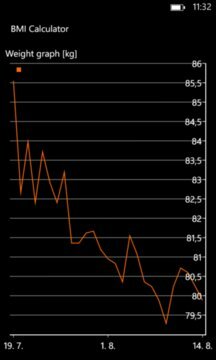 BMI calculator can be also used for saving dailly weight and app create graph of user weight over time.